Now seven model years into its production run, the INFINITI QX60 is showing no signs of slowing down as it continues to position itself favorably in a crowded luxury crossover SUV market. Two trims are available: The Pure and Luxe. 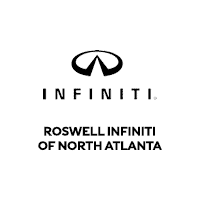 Powering the 2019 INFINITI QX60 is the VQ35DE, a 3.5-liter V6 that produces 295 horsepower and 270 lb.-ft of torque. It is hooked up to a continuously variable transmission, which comes with a manual shift mode. You will have the choice between a front-wheel drivetrain and an all-wheel drivetrain. The braking system consists of four-wheel ventilated discs with anti-lock braking ability for optimal stopping ability. The INFINITI QX60 seats up to seven people with its three rows; passenger volume tops out at 149 cu. ft. The second and third rows are foldable for creating more cargo room beyond the standard 16 cu. ft. And the front row consists of an 8-way power adjustable driver’s seat and 6-way power adjustable passenger seat, which have heating ability. All seats are leather- or leatherette-appointed, with enhancements like a dual-occupant memory system and heating ability on the steering wheel added on the higher-level Luxe. For comfort and convenience, the QX60 starts off with features such as Bluetooth® technology for audio streaming and hands-free phone operation; five USB ports (two for connecting mobile devices and three for charging them); SiriusXM® Travel Link with a four-year complimentary subscription, in addition to three months of free SiriusXM® satellite radio service; a rearview camera; an auto-dimming mirror; a garage-door opener; the 8-inch INFINITI InTouch™ screen with HD Radio; the INFINITI Intelligent-View® Display system; and a six-speaker stereo system with an AM/FM tuner, CD with MP3 playback capability, Radio Data System, and speed-sensitive volume control. On the Luxe, INFINITI adds remote engine start, and entertainment is upgraded to a 13-speaker Bose® system with DVD playback ability. On the latest QX60, the airbag system consists of dual front-facing airbags, a pair of front seat-mounted side-impact airbags, and a pair of side curtains that flank all three rows. Also standard are hill start assist, electronic brake-force distribution, brake assist, a blind spot warning system, predictive forward collision braking, forward emergency braking with pedestrian detection, traction control, and a slide-away brake pedal assembly. Security on the crossover consists of an anti-theft system that includes a panic alarm and engine immobilization. Call us at our dealership in Roswell, Georgia, today to set up an appointment with one of our experienced sales representatives. We’ll be more than happy to get you into the QX60 that meets your specifications and preferences.